Who IS the the real Dr. Van Nostrand: Beloved character from a famed sitcom or secret data manipulator for the Arnold Foundation? As we have continued to figure out how the Laura and John Arnold Foundation have built their algorithm that is transforming bail and conditions of release in the United States, we continue to learn more each day about who built the algorithm and their own biases and tendencies. 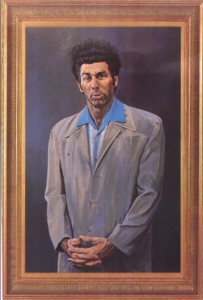 One key character in the bail reform saga is none other than Dr. Van Nostrand. And most certainly not the Dr. Van Nostrand who posed as an English professor proclaiming that Shakespeare was a fraud. No, this Dr. Van Nostrand is a secret data implementer and manipulator for the Laura and John Arnold Foundation. She co-founded a for-profit criminal justice consulting firm called Luminosity and has made a ton of money since founding that business over 15 years ago. We’re going to go out on a limb here and say she might have a direct financial interest in how things turn out in the “no money bail movement” debate since her firm piles up cash helping governments create new risk-based bureaucracies, which cost them cash, so then criminal defendants don’t have to worry about cash. In point of fact, one only needs to take a quick look at the Arnold Foundation’s tax returns to figure out the degree of a financial interest Van Nostrand and Luminosity has in the outcome, despite any claims she may make regarding her scientific objectivity. But it’s more than just that—in a recent article it was revealed that Dr. Van Nostrand is indeed one of the key faces behind the curtain of the Arnold Foundation tool. The publication indicated that Dr. Van Nostrand indeed is the “expert behind a data tool touted as a cure for overcrowding” known as the Arnold Foundation’s Public Safety Risk Assessment tool. This Dr. Van Nostrand also plays judge, jury, and prosecutor—building computer risk systems and then writing reports on how great they work. 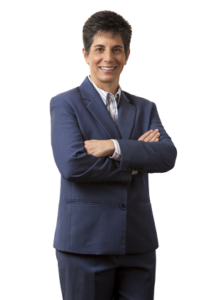 Not only did she assist in developing the Arnold Foundation tool and much of the research used by the Arnold Foundation, it has also been determined that she is also the person who in part validates that it works. Of course, Stevenson later debunked the entire study, showing that the Arnold Foundation tool had a trivial impact on reducing jail populations, and increased failures to appear in court and new crimes while out on bail. On the other hand, the other Dr. Van Nostrand also has problems with peer-review and for-profit research. How can this Dr. Van Nostrand be objective if she is basically checking and validating her own work, and making another layer of profit on top of that? What did she say? You’ll be surprised to learn that pretrial justice reforms and risk-assessments work. Of course, they have to—otherwise this Dr. Van Nostrand is out of a job. At bottom, the real Dr. Van Nostrand is not a character on a sitcom—the real Dr. Van Nostrand is one of John Arnold’s secret data manipulators, hiding behind a veil of secrecy including contractual protections and trade secrets that prevent the rest of the world from questioning her or even checking her work. 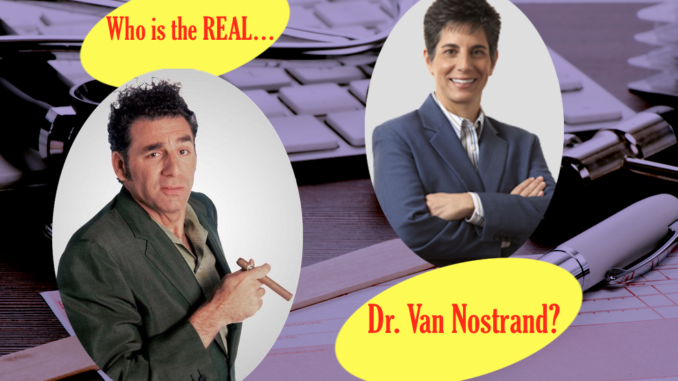 Will the real Dr. Van Nostrand – the self-promoting, self-validating, and financially motivated one – please stand up?